The Abuja office of the National Health Insurance Scheme (NHIS) has become a battle ground in the last two days. Two groups are protesting over the reinstatement of Prof. Usman Yusuf as the scheme’s Executive Secretary. The Nation’s Vincent Ikuomola writes on the power play and intrigues behind Yusuf’s recall. All is not well at the National Health Insurance Scheme (NHIS). The reinstatement of the Scheme’s Executive Secretary, Prof Usman Yusuf, has split members of staff into two. Not a few were shocked by Yusuf’s recall by the Presidency. They argue that the professor should have been excused from office for an unfettered probe into the allegations against him. 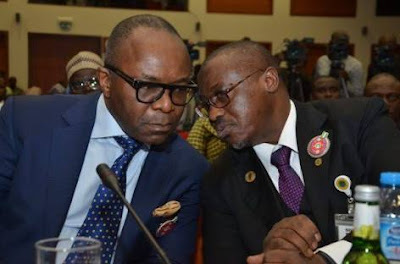 They laced their argument with the cases involving former Secretary to the Government of the Federation (SGF) and the former Director-General of the National Intelligence Agency (NIA), Ayodele Oke, who were on suspension for as long as investigations into the allegations against them lasted. According to the critics, the Presidency should have been more circumspect of the likely backlash of such directive following the heat generated by the controversial resumption of the former chairman of the Presidential Task Team on Pensions Reform, Abdulrasheed Maina. Maina’s controversial resumption was said to have been advised by a memo believed to have originated from the Office of the Attorney-General of the Federation (OAGF). On Monday, when Yusuf resumed at his duty post, some workers opposed to his reinstatement staged a protest. There was a ‘balance of terror’ on Tuesday, when another group staged a solidarity rally for the embattled NHIS chief. The pro and anti-Yusuf protests have forced the Nigeria Police to station officers to keep vigil at the NHIS to forestall lawlessness. As at yesterday, both groups maintain their stands. The anti-Yusuf group vowed to sustain their protest until President Muhammadu Buhari reversed himself. 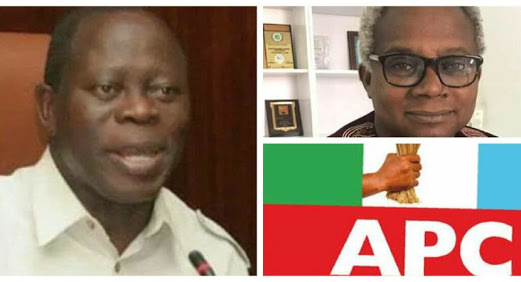 Yusuf’s supporters called for the termination of the ongoing investigations against the embattled executive secretary by the Economic and Financial Crime Commission (EFCC) and Independent Crime and other offence Commission (ICPC). Since his resumption in office on August 1, 2016, there has been disharmony between him and stakeholders in the sector – the Health Maintenance Organisations (HMOs) and Health Care Providers (HCPs) and also the workers. Before things went awry for him, Yusuf was always explaining his mission at the NHIS. He told everyone that the President deployed him to curb the corruption that had eaten deep into the scheme. He was alleged to have administered the NHIS as an autonomous institution, independent of the supervising Ministry of Health, thereby seeing the Health Minister as an interloper. A source within the NHIS recalled how Health Minister Prof Isaac Adewole tried to rein Yusuf in but that all attempts failed to yield the desired result. “Hardly would he attend to any meeting convened by the minister as he was always gave excuses on why he could not be available. He also never failed at every opportunity to talk down on the workers. These high-handedness eroded his self-confidence among the workforce”, a worker who pleaded for anonymity told The Nation yesterday. Yusuf was at loggerheads the HMOs, accusing them of collecting money without delivering on services. The NHIS has been unable to substantiate his allegations, when the HMOs challenged him to name and shame anyone found to have violated the rules of the game. He was alleged to have redeployed some officers believed to be critical of his style of administration outside the scheme headquarters and lobbied the redeployment of his kinsmen from the public service as replacements. The new hands, who were level 10 officers, were imposed on health officers on Grade Level 15 and above, a source claimed, alleging that such actions were taking without clearance from the supervising ministry, the in the absence of a board. The NHIS chief stuck to his guns the health minister directed him to reverse the appointment of the fifteen officers he brought into the scheme without following due process. A petition by the Young Alliance Against Corruption led to Yusuf’s suspension following a directive by Vice President Yemi Osinbajo to the health minister to investigate the allegations in the petition. Swinging into action, Prof Adewole raised an 18-member panel and placed the NHIS boss on a three-month suspension for a hitch-free investigation to take place while the investigation lasted. Yusuf told the minister that only the President has the power to suspend him. He probably forgot the fact that the directive to investigate the allegations against him was from Vice President Yemi Osinbajo, who was then acting president”, a source said. The allegations against Yusuf were on abuse of office, nepotism and insubordination. He was accused of buying a Toyota Sports Utility Vehicle (SUV) marked NHIS 12Y-01 FG for N58 million. Yusuf was alleged to have overshot his N2.5 million spending limit and without the permission of the health minister. The EFCC was said to be investigating Yusuf for over N919 million frauds, involving the award of contracts to cronies without following due process. To get to the root of the matter in line with the administration’s anti-graft battle, the anti-graft agencies stepped in. After investigating the allegations, the 18-member administrative panel found Yusuf culpable. He reprimanded on the redeployment of the 15 officers. The panel wrote in its report that such an act was a total disregard and insubordination to constituted authority. The total number of staff in NHIS is 1,360 as indicated in their nominal roll; however, the members of staff trained by the scheme based on the payment vouchers were 1,992, while the figure submitted by NHIS was 2023. The reported noted was as a result of listing and paying some workers twice but attended only one training. The N508, 036.096.00 paid, according to the report, went to consultants. The staff members got N411, 608,704.00 as allowances. The procurement department was not involved in the engagement of consultants; some payments were also made without supporting documents; no single payment voucher was raised in favour of the training consultants. Instead, their payments were lumped with participants training allowances and a composite voucher raised in the name of one of the participants, making it look like a normal staff claim. All the training programmes were approved by Yusuf and ratified by the Executive Management Meeting, which has no statutory approval authority. All the costs of the training programmes conducted by the respective firms were above the approval threshold of the NHIS boss. The executive secretary was also found culpable for the award of e-Library books and periodicals as well as project vehicles. For instance, the panel observed that the N28 million payment for the e-library equipment was made before the execution of the project. The actual amount appropriated for the project was N35.5 million and another N35.2 million for the procurement of project vehicles. He was also alleged to have paid N48.37 million to Katameya Firstcall Hospital Ltd for treatment of cancer for three patients as financial support to indigent patients. Of the three, only one is an enrollee. He was also said to have erred on the part of the extant rules by approving an estacode and per diem for its staff. In its conclusion, the committee recommended amongst other things the recovery of funds, including the 13th month salary paid up-front to redeployed staff and also the three-month salary paid after cancellation of the redeployment. Also recommended for recovery was the money paid to the four seconded officers for oracle training in The Netherlands that was cancelled. The management of NHIS was directed to recover N82.34 million which was approved for foreign trips and have not been retired in line with the provision of financial regulation 1415(e). The panel also recommended that the EFCC be invited to help recover N48 million paid to consultants alongside N590.379 million. It was as if Yusuf’s time was up at the NHIS until last Thusrday, when the Presidency ordered his reinstatement and that he and the health minister should work together. It was learnt that Yusuf had an audience with the President last year and explained that his anti-corruption crusade at the NHIS was behind his ordeal. Months after the panel submitted its report, nothing was heard from the presidency as rumours of a cover-up were rife. In what looked like a confirmation of the rumours, a letter from the office of the Chief of Staff to the President, Abba Kyari, reinstated Yusuf. Many Nigerians, who carpeted the government for not disowning the Kyari’s letter and a similar memo by the Attorney-General of the Federation and Minister of Justice, Abubakar Malami, on Maina, are criticising the latest action by the President’s chief of staff. They described the controversial reinstatement as a stain on the administration’s anti-corruption posture. “It is a dangerous trend when some characters seen to be in the good book of the President are untouchable irrespective of fraudulent allegations leveled against them”, they warned. In a statement by its Secretary-General, Alade Lawal, the Association of Senior Civil Servants of Nigeria (ASCSN), said: “This is one intervention too many and as such Mr. President should allow Yusuf to retire from service to have time to run his personal business. “How can a government official being investigated for a whopping sum of N919 million fraud by the EFCC be reinstated by the government that came to power promising to sanitise the system? “This is very unfortunate. We, therefore, urge President Buhari to rescind his action and allow Prof. Yusuf to leave the system in peace. Thus, if Prof. Yusuf resumes as the Executive Secretary of NHIS, it will amount to passing a vote of no confidence on the minister. “What type of a government are we claiming to be running that anyone who is close to the President will become lawless; will not obey public service rules; nor report to the supervisory minister and running a government agency as his personal estate because he is close to the powers-that-be? “This is the type of action that continues to give the likes of the United States President, Donald Trump, the effrontery to be deriding Africa and its leaders. “The investigative panel set up by the minister of health to look into the alleged atrocities of Prof. Yusuf, including engagement of a consultancy firm in which he had vested interest to be ripping off the NHIS is a serious public demeanour that should not be condoned. Yusuf who was on a suspension was reinstated through a Presidential directive dated February 5, 2018, despite facing allegations of misconduct by the Economic and Financial Crime Commission (EFCC). Since his reinstatement, protests and counter-protests have crippled activities at the NHIS. The pro-Yusuf group has been doing everything possible to counter their colleagues who are kicking against the reinstatement of the embattled NHIS boss. The workers under the aegis of the Association of Senior Civil Servants of Nigeria and the Joint Health Sector Union urged the President to reverse the reinstatement, which according to them “is a smear on his administration’s anti-graft war”. The anti-Yusuf protest which continued yesterday had a match in the pro-Yusuf faction that countered them. They hailed the reinstatement of the NHIS boss. Both groups explained their positions to reporters. According to the anti-Yusuf group, the embattled Executive Secretary who is under EFCC investigation must face anti-corruption charges. The group insisted that Yusuf should stay away from office until he is cleared by the anti-corruption agencies. 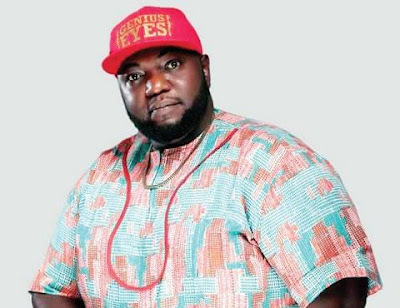 The spokesperson for the concerned members of staff, Mr. Uchenna Ewelike, said Yusuf’s investigation was unlawful as it did not follow due process and should be discontinued. The pro-Yusuf group said his investigation was unlawful, did not follow due process and should be discontinued. Ewelike said it was not outside the union’s brief to demand for who presides over them. Rather, the work of the workers’ union is to fight for the welfare of their members. He said: “The current NHIS boss who is just reinstated is still under investigation by EFCC and ICPC. Is it proper for him to return to work here? Investigation is supposed to follow the rules and the rules of investigation have to be properly followed. He also claimed that the protest against the NHIS boss was as a result of the reform that was initiated and carried out under his watch. Ewelike assured his colleagues that none of those that went to the anti-graft agencies to testify against the NHIS boss would be victimised. He said there was no correlation in Yusuf’s case and that of the former SGF. 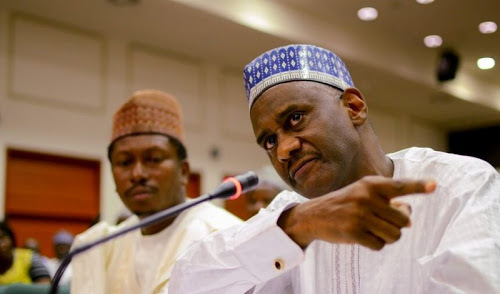 The anti-Yusuf group led by the Chairman of the NHIS arm of the union, Mr. Razaq Omomeji, vowed that the protests would continue until Buhari reversed Yusuf’s reinstatement. He said: “We want to say that our President, we elected him, we have trust in him, that he is a person of integrity. But, whatever is good for the gander is also good for the goose. We are calling on the President that this case of Prof. Yusuf Usman needs to be revisited. “NHIS is one, we are one family. I hope I am speaking for all of us? Immediately this man came, he came on the will of ethnicity; he came on the will of religion. We want to put it on record that as our national president had issued a press statement, we stay with that statement.